The Lake District is home to some of the most spectacular scenery in the country. Take a stroll along well trodden paths to local highlights or go off the beaten track and discover a secluded view that will be all your own. For something a little different, or a little more energetic, try mountaineering, caving/potholing, or even a scenic flight over the beautiful fells. 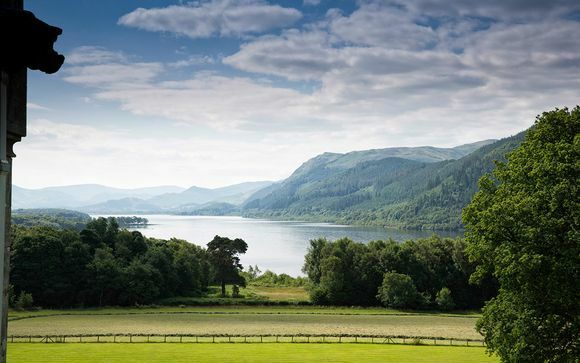 Armathwaite Hall has been standing magnificently on the shores of Bassenthwaite Lake in one form or another since the 11th Century. The current owners, the Graves family, bought the Hall in 1976. A massive development programme has taken place over the years including the purchase of the adjoining Coalbeck Farm which now houses one of the Lake District’s most popular family attractions, Lake District Wildlife Park, which attracts over 50,000 visitors every year. The development continues with improvements to the facilities at Armathwaite Hall which include the opening of a multi million pound spa and function room development early 2009. This was the biggest development in the history of the Hall and now affords the Hall the luxury of being the only spa destination in the Lake District. The Broadwater and Limetrees Suites have allowed larger weddings and functions and the recently opened Courtyard Bar and Brasserie offers an alternative informal restaurant to the fine dining Lake View restaurant. 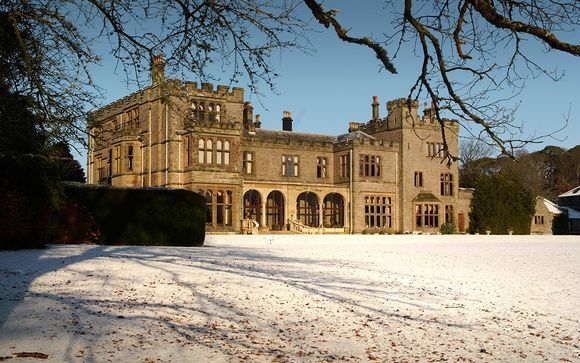 Armathwaite Hall Country House and Spa was awarded Large Hotel 2010 by the Cumbria Tourist Board and the Graves Family have received the Tourism Award 2010 by the British Hospitality Association for their investment in and their commitment to the tourist industry. These rooms are peacefully situated in the Main House with views towards the garden, Deer Park or Courtyard. All are individually designed and decorated. Lake View Restaurant - Connoisseurs of fine cuisine will find much to appreciate at Armathwaite Hall Country House Hotel and Spa. Master Chef Kevin Dowling takes full advantage of a wealth of local seasonal produce and Cumbrian specialities to create a variety of gastronomic delights. His dishes draw inspiration from both traditional English fayre and classical French cuisine refined to reflect the expectations of all guests. Courtyard Bar and Brasserie - The Courtyard Bar and Brasserie is the most recent stunning addition to Armathwaite Hall Country House Hotel and Spa. Opened in 2009 it has already proved very popular with hotel guests and the public alike. Offering contemporary and informal cuisine it is the perfect option for anyone looking to enjoy an informal drink, a morning latte or a two or three course relaxed dinner. Please note that smart attire is required whilst dining in the Lake View Restaurant. Jeans, trainers and T-shirts are not permitted. Just for you: a complimentary glass of champagne to enjoy in the outdoor hot tub. 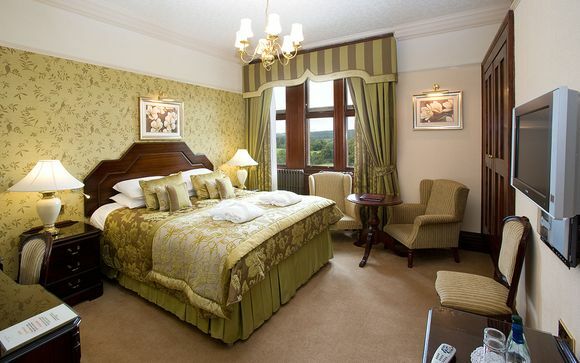 At the heart of Armathwaite Hall's philosophy is the comfort and well being of the guests and this is reflected in the range of facilities for recreation and relaxation. The Spa offers the choice of physical exercise or relaxation, as the mood dictates. Choose from swimming in the indoor pool, relaxing in the sauna or steam room or working out in the well equipped gymnasium. Nowhere is the hotel's philosophy more evident than in the Spa treatment rooms where they offer professional attention and tailor every treatment to suit the needs of your lifestyle. Qualified therapists are available for consultations and can devise a home care programme to help continue treatment into your everyday life. M6 to Penrith, leave the motorway at junction 40, A66 to Crossthwaite roundabout at Keswick then A591 signposted Carlisle. Go 8 miles to Castle Inn junction, turn left and Armathwaite Hall is 300 yards ahead. A66 towards Cockermouth and Keswick. After approximately 2 miles after passing the turn off for the village of Embleton, turn left and immediately right onto B5291 following signs for Castle Inn, Dubwath and the brown tourist attraction signs for Trotters World of Animals. Cross over Ouse Bridge to the right and the signs for Armathwaite Hall will be further along the road ignore first junction as it is the exit, take the next sharp turn left through entrance gates. From M6 follow instructions travelling from the east. Travelling through the lakes on the A591 to Keswick, exit from Keswick onto A66 towards Cockermouth. Approximately 7 miles after dual carriageway finishes turn right and immediately right again, onto B5291 following signs for Castle Inn, Dubwath and the brown tourist attraction signs for Trotters World of Animals. Cross over Ouse Bridge to the right and signs for Armathwaite Hall will be further along the road ignore first junction as it is the exit, turn sharp left through entrance gates. From M6 follow instructions travelling from the east. From Carlisle turn right at Bothel and follow signs for A591 to Keswick. Approximately 7 miles turn right at Castle Inn and Armathwaite Hall is 300 yards ahead. Please note that if travelling by coach, it is best to approach the entrance of Armathwaite Hall via the A591 from Keswick than over Ouse Bridge. To Carlisle (20 miles) or Penrith (20 miles) Continue by taxi or hire car. By commercial airline to Newcastle (90 miles) Manchester (120 miles). Continue by hire car or commercial shuttle service. To Carlisle Airport (25 miles). Continue by taxi or hire car. There is a helipad in the grounds of the hotel.